The objective of this research is to continue developing tools that will enable quantification of National Airspace System-wide and airshed-specific air quality and health impacts due to aircraft emissions in select regions of the country. It also will provide support to the FAA for processing high-fidelity weather in the Aviation Environmental Design Tool. Arunachalam, S., (2017). Ultrafine Particles and Aviation. Aircraft Noise and Emissions Reduction Symposium, organized by the American Institute of Aeronautics and Astronautics (AIAA), Alexandria, VA, April 2017. Boone, S. S. Penn, J. Levy and S. Arunachalam (2016). Calculation of sensitivity coefficients for individual airport emissions in the continental United States using CMAQ-DDM3D/PM, Air Pollution Modeling and its Application XXIV, D.G. Steyn and N Chaumerliac (eds. ), ISBN: 978-3-319-24478-5 (Online), 1007/978-3-319-24478-5_41, Springer Proceedings in Complexity, pp. 251 – 257. Arunachalam, S., (2016). Air Quality Impacts from Aviation Emissions, Invited Talk at the FORUM-AE Air Quality Impacts Workshop, Netherlands Aerospace Center (NLR), Amsterdam, Netherlands, April 2016. Underhill LJ, Penn SL, Boone S, Arunachalam S, Levy JI (2016). Modeling the health benefits of local and regional emission control policies in the US aviation sector, Presented at the 26th Annual Meeting of the International Society of Exposure Science, Utrecht, Netherlands, October 2016. Arunachalam, S., A. Valencia, R. A. Silva, J. Huang, M. Omary and L.P. Vennam (2016). A Global-scale Multi-resolution Study of Surface Air Quality Impacts from Commercial Aircraft Emissions, Presented at the 35th International Technical Meeting on Air Pollution Modeling and its Applications, Crete, Greece, October 2016. Huang, J., L.P. Vennam, F.S. Binkowski, B. Murphy and S. Arunachalam (2016). Impacts on Ambient Particulate Matter by Changing Particle Size Distribution from Emissions Using the Community Air Quality Model (CMAQ): A Case Study of Commercial Aircraft emissions from Landing and Take-off, Presented at the 14th Annual CMAS Conference, Chapel Hill, NC, October 2016. Moniruzzaman, C. G., J.H. Bowden, S. Arunachalam (2016). Effects of aerosol feedback on aircraft-attributable surface O3 and PM5 concentrations using the two-way coupled WRF-CMAQ modeling system. Presented at the 14th Annual CMAS Conference, Chapel Hill, NC, October 2016. Arunachalam, S., (2015). 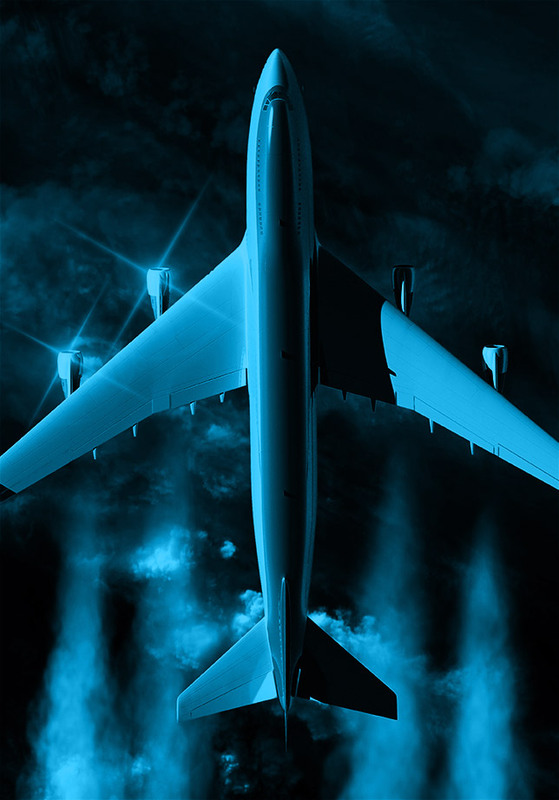 Aviation Impacts on Air Quality, Invited Talk at the ICAO Committee on Aviation Environmental Protection’s Impacts and Sciences Group” Washington, D.C., February 2015. Arunachalam, S. Air Quality Impacts from Aviation Emissions – A Closer Look at PM5, Presented at the Aircraft Noise and Emissions Reduction Symposium (ANERS), La Rochelle, France, September 22 – 24, 2015. Arunachalam, S., S. Boone, J. Bowden and M. Omary (2015). Sensitivity Analyses Approaches for Assessing Air Quality Impacts of Individual Airport Emissions, Presented at the 4th Conference of the Transportation, Atmosphere and Climate, Bad Kohlgrub, Germany, June 2015. Vennam, L.P., S. Arunachalam, K. Talgo, M. Omary, J. Xing, R. Mathur and W. Vizuete (2015). A Multi-scale modeling study to assess impacts of full-flight aircraft emissions on upper troposphere and surface air quality, Presented at the 14th Annual CMAS Conference, Chapel Hill, NC, October 5 – 7, 2015. Arunachalam, S., (2014). Multi-scale Modeling of the Air Quality and Health Impacts of Aviation Emissions for Current and Future Scenarios, Invited Talk at the Universidad de La Salle, Bogota, Colombia, June 2014. Vennam, L., S. Arunachalam, W. Vizuete, B.H. Baek, M. Omary, J. Bowden and S. Olsen (2014). Modeled Trends in Impacts of Landing and Takeoff Aircraft Emissions on Surface Air Quality in U.S for 2005, 2010 and 2018, Presented at the Fall Annual Meeting of the American Geophysical Union, San Francisco, CA, Dec 15 – 19, 2014. Penn, S. S. Arunachalam, S. Boone, E. Kamai and J. Levy (2014). Modeling variability in air pollution-related health damages from individual airport emissions, Presented at the Annual Meeting of the International Society of Exposure Sciences, Cincinnati, OH, October 2014. Vennam, L.P., S. Arunachalam, J.H. Bowden, B.H. Baek, M. Omary, W. Vizuete and S. Olsen (2014). Modeled Trends in Impacts of Landing and Takeoff Aircraft Emissions on Surface Air-Quality in U.S for 2005, 2010 and 2018. Presented at the 13th Annual CMAS Conference, Chapel Hill, NC, October 27 – 29, 2014. Boone, S., S. Arunachalam, S. Penn and J. Levy (2014). Sensitivity analysis of individual airport emissions in the U.S. using CMAQ DDM-3D, Presented at the 13th Annual CMAS Conference, Chapel Hill, NC, October 27 – 29, 2014. Woody, M., S. Arunachalam, J.J. West and H.-W. Wong (2014). Multiscale Predictions of Aircraft-Attributable PM2.5 Modeled Using CMAQ-APT enhanced with an Aircraft-Specific 1-D Model for U.S. Airports, Presented at the 13th Annual CMAS Conference, Chapel Hill, NC, October 27 – 29, 2014. Arunachalam, S., M. Woody, J. Rissman, F. S. Binkowski, H.-W. Wong, S. Jathar and A. Robinson (2013). An Enhanced Sub-grid Scale Approach to Characterize Air Quality Impacts of Aircraft Emissions, Air Pollution Modeling and its Application XXII, D. G. Steyn, P.J.H. Builtjes, R.M.A. Timmermans (eds. ), ISBN: 978-94-007-5576-5 (Print) 978-94-007-5577-2 (Online), Springer, The Netherlands, 2013.